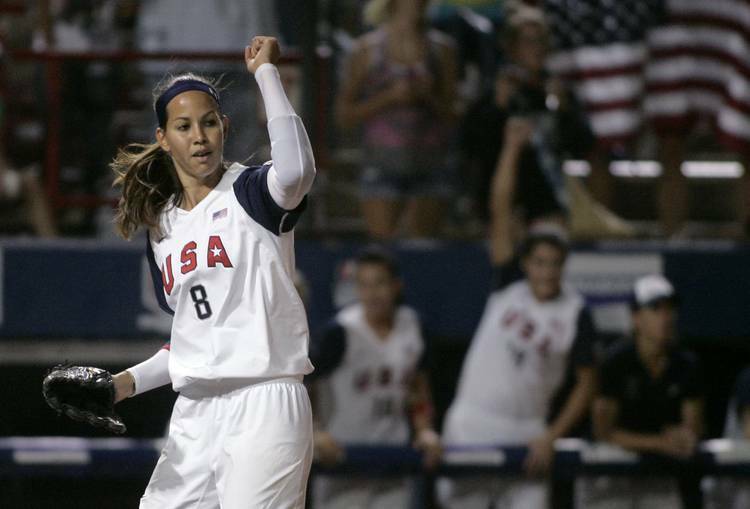 Cat Osterman isn’t done throwing a softball. According to a post on her Instagram page, Osterman will resume her softball career in 2019. The Longhorn legend has accepted an invitation to attend the 2019 USA Softball Women’s National Team Selections Trials. The trials are scheduled to be held in Clearwater, Fla., from Jan 1-6, 2019. One of 41 athletes invited to the trials, Osterman is vying to earn a spot on a 15-player roster that the United State will take to next summer’s Peru-hosted Pan American Games. She last played competitively in 2015. Osterman, 35, still owns most of UT’s significant pitching records. Her 14.34 strikeouts-per-seven-innings remains a NCAA record. With Osterman in the circle, Texas reached the College World Series in 2003, 2005 and 2006. Selected with the first pick in the 2006 National Pro Fastpitch Draft, Osterman was the league’s pitcher of the year in 2011, 2013 and 2014. Osterman was Team USA’s youngest player when it won a gold medal at the 2004 Olympics. She also earned a silver medal when she returned to the Olympics in 2008. Since 2008, Osterman has coached on a collegiate level. She is currently an associate head coach at Texas State.